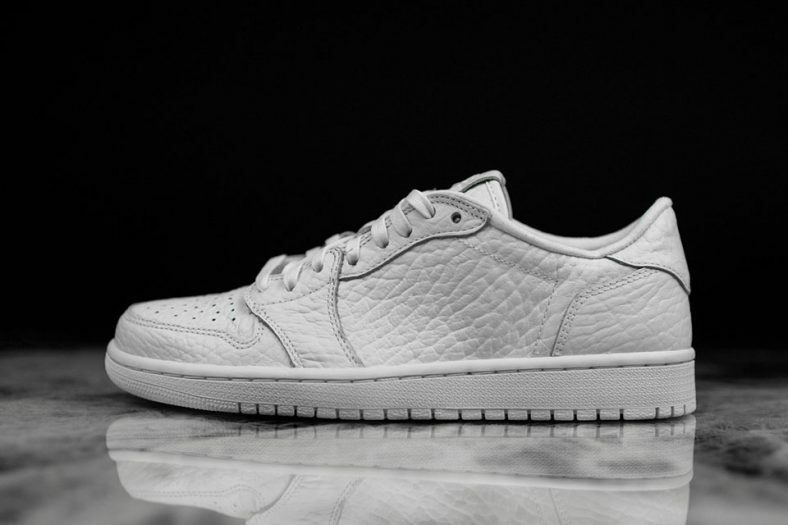 The surprisingly well executed Swooshless Air Jordan 1 Low gets a popular makeover. 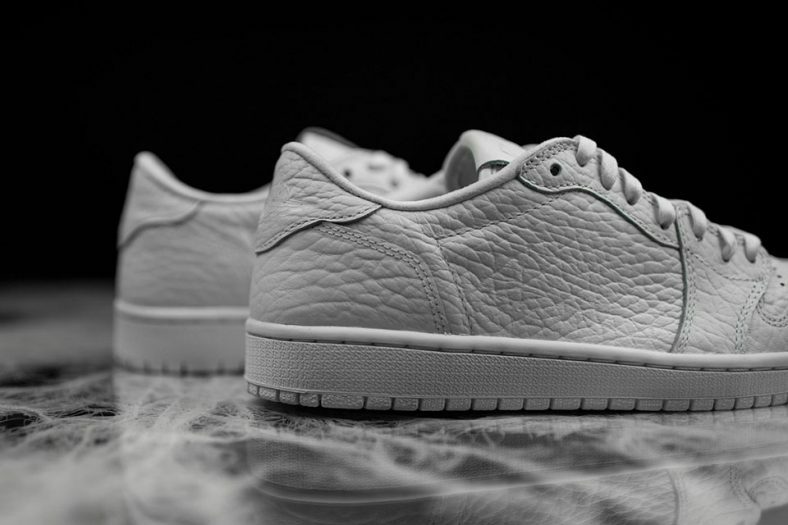 This time, these minimalist edition of the AJ 1 Low sports a Triple White color scheme. 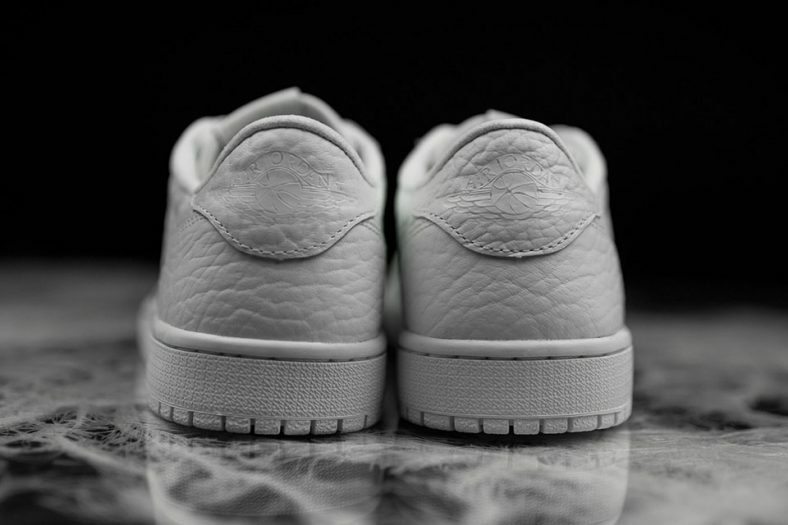 The upper still features its leather construction, sitting on top of the usual midsole and outsole. Additionally, this colorway will also feature “Nike Air” branding. This news is no doubt welcomed by Jordan heads. 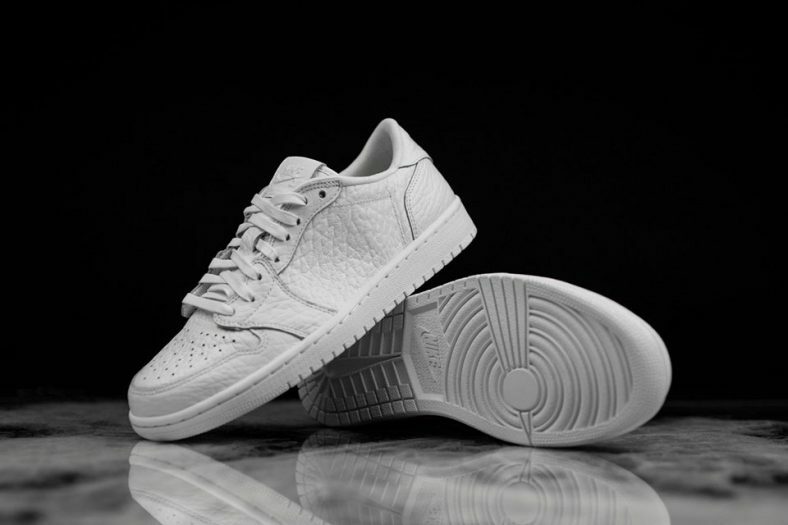 The Air Jordan 1 Low is a part of the Jumpman’s summer specific releases. The Triple White scheme furthers that motif. Outside of the constant flow of Adidas releases, this is one summer release that is likely to sell out. The crisp, simplistic aesthetic makes for a fairly dynamic finisher to any summer outfit. 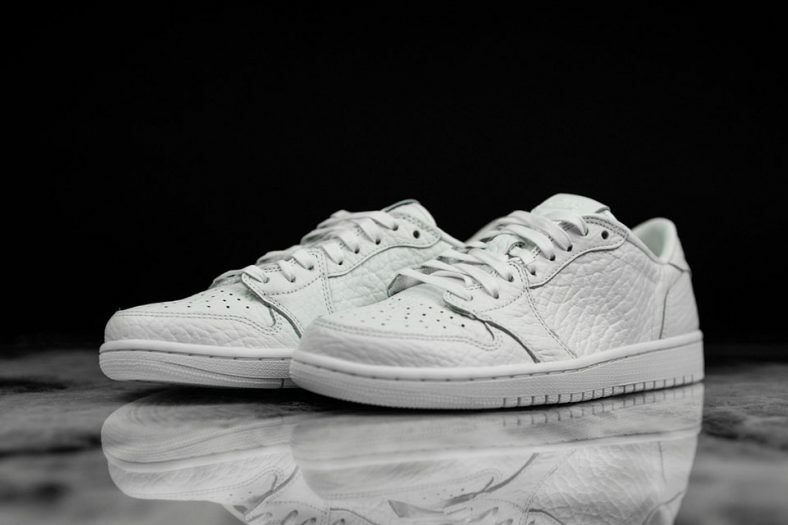 As of now, the release date for this sneaker is set for July 16th, 2016. We don’t have any specifics on pricing info as of yet, but follow us on Twitter for updates. As always, you can also hit up our website for release links. Have a look at the detailed images above and let us know what you think. 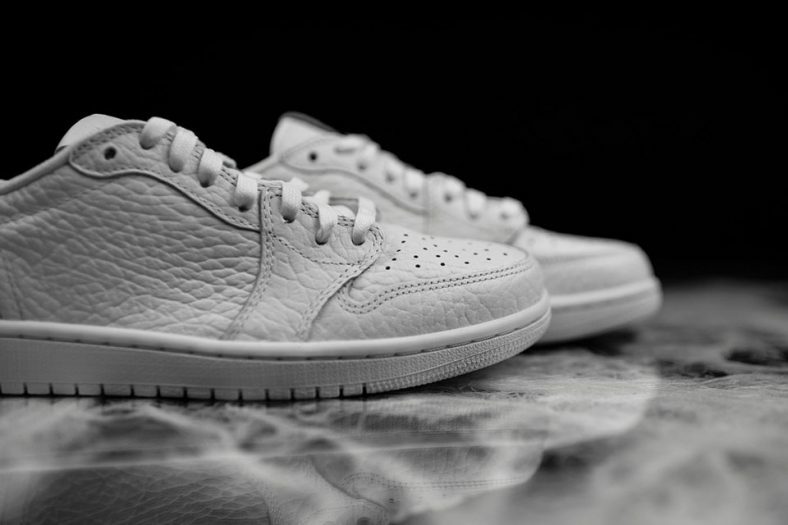 Will you be copping a Triple White pair of the “No Swoosh” Air Jordan 1 Low? I’m not a fan of using the word “clean” to describe a shoe. But, that’s pretty much all I can think of when I see this sneaker. 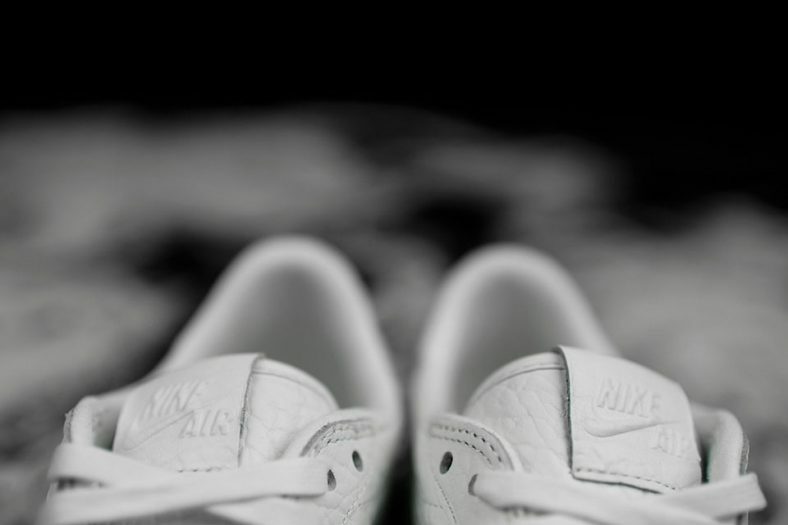 The “No Swoosh” Air Jordan 1 Low comes with a simplicity that is only amplified by tonal colorways, making a Triple White colorway inevitable.